Balloon Country (a.k.a. Co-Op Gas, Inc.) features top quality products and services that give your business a competitive edge. Balloon Country sells and delivers a wide-selection of balloons and accessories to assist your business in promoting products and events. 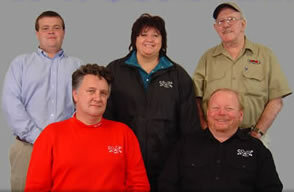 Our corporate leadership has a combined 54 years experience delivering expert balloon service to the southeast. We look forward to earning your business and showing you how Balloon Country's focus on customer service and Christian values can make the difference in your purchasing experience. David has over 40 years experience in the Industrial Gas Market including balloon sales, service and installations. He founded Co-Op Gas Inc. in 1997. Saying farewell to Mr. Snow due to retirement yet he took on a pastoral position with Saluda River Bible Church and is still preaching today. B.F. had 24 years experience in the helium and balloon markets.